Finished Nov 2017. Final score: 3 / 5. I bought this book because I really enjoyed Mistborn Book 1. I just finished Book 1. This book was a bit of a slog, but it did have a few epic scenes. This book was more about politics and in-fighting than Mistborns doing cool Mistborny things. To be fair to the book, the political discussions were good and well-written. However, that was not why I wanted to read Book 2. I almost gave this book a low rating, but a couple of scenes, particularly one near the end, were fantastic. I thoroughly enjoyed the scene near the end so much that I went back and slowly re-read the whole section again. I never do this. The most disappointing piece was The Well of Ascension itself. It was nowhere except the finale, and the finale was not satisfying. It felt like a forced lead-in to Book 3. This would have been a better book if it ended at the very satisfying previous finale and just dropped the Well of Ascension journey. I probably would have stopped reading Mistborn at book 2, but the inertia of my enjoyment of book 1 kept me going. 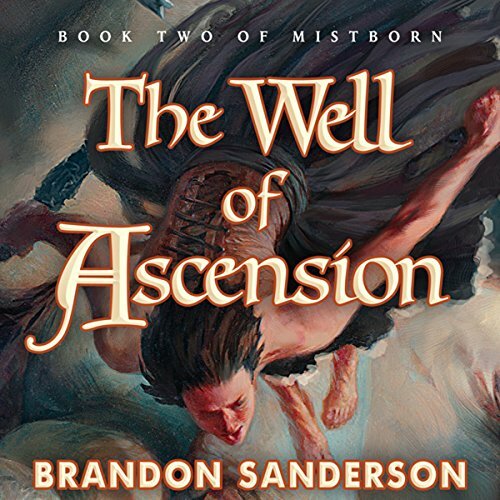 Discuss Mistborn: The Well of Ascension (Book 2) in the forums.